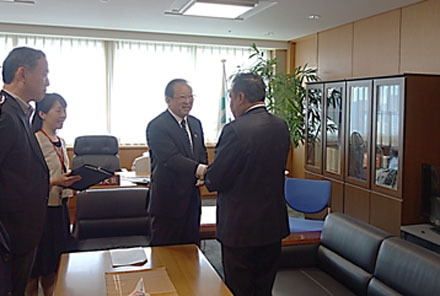 State Minister Kitamura received a courtesy visit by Dr. Ahmad Dahlan, the Mayor of Batam, Indonesia. 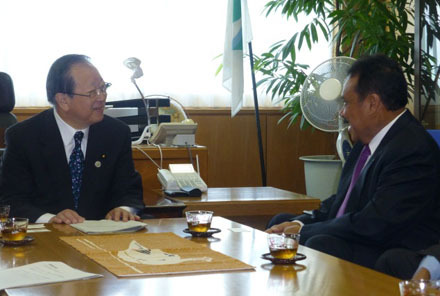 Due to a rapid economic development and population growth, waste management is a serious and critical issue in Batam city due to a rapid economic development and population growth. We exchanged opinions on the introduction of the advanced low carbon technologies by utilizing the Joint Crediting Mechanism (JCM). 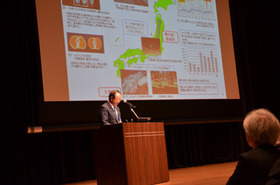 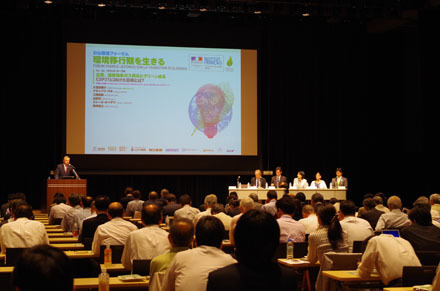 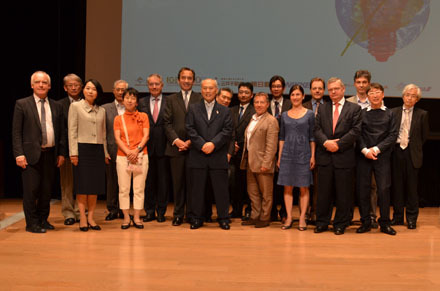 Mr. Shigeo Kitamura, the State Minister of the Environment, attended Japan-France Environmental Forum "We live in the environment transition period" and gave an opening speech to present the current status of the global warming issues and the countermeasures in Japan. 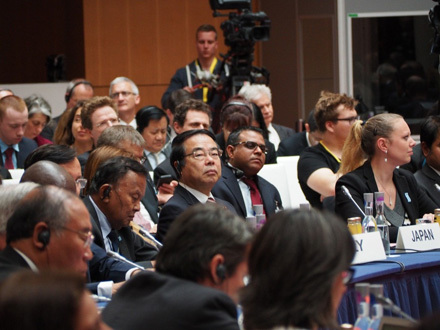 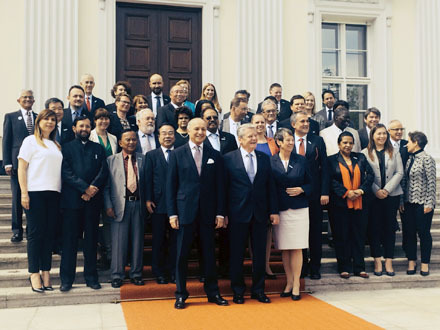 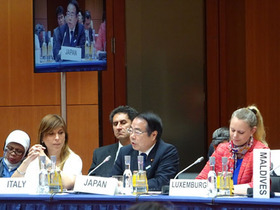 Mr. Yoshio Mochizuki, the Minister of the Environment, attended the "Petersberg Climate Dialogue VI" in Berlin and exchanged his opinion with cabinet members of the participating states. 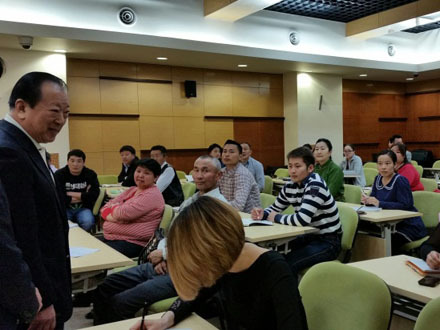 It was a meaningful meeting that would lead to the agreement at the COP21 in December 2015. 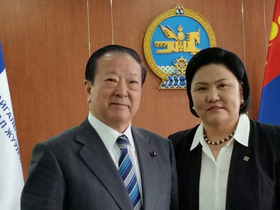 State Minister Kitamura had a bilateral meeting with Mrs. Oyunkhorol Dulamsuren, Minister of Environment, Green Development and Tourism, on the environmental issues. 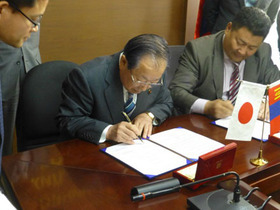 After the meeting, he and Mr. Khurelshkh Magvansuren, the Vice Minister of Environment, Green Development and Tourism, signed the Memorandum of Cooperation (MOC) on Environmental Cooperation.